As a tribute to Dhoni we have meticulously picked some very special and memorable MSD moves defining his on field swagger! The helicopter man of Indian Cricket, Captain Cool, the man with a Midas touch, the best finisher, Champion and what not! And still there wouldn’t be enough titles to describe the legacy of Mahendra Singh Dhoni. 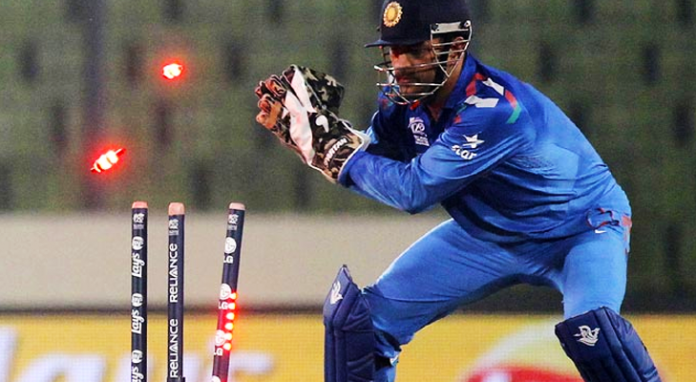 MS Dhoni’s swagger on the pitch just goes to show what a cool customer he is. Dhoni is more a man of action than a man of words and likely so there are some actions, some trade mark moves which accurately define M.S. Dhoni on the field whether it is his lightening speed behind the stumps, herculean hits, cheeky singles or his calm demeanour, street smart tactics or power hitting. Therefore, today as a tribute to him we have meticulously picked some very special and memorable MSD moves which define his on field swagger! When the helicopter drove Malinga out of the park! Dhoni’s Swagger at its finest! MSD doesn’t hit the ball he slaps it! We hope there are many such magical moments to come from the legend!